Malaysia, You get to see Dinosaurs in close up mode. But does Dinosaurs exist in this world? 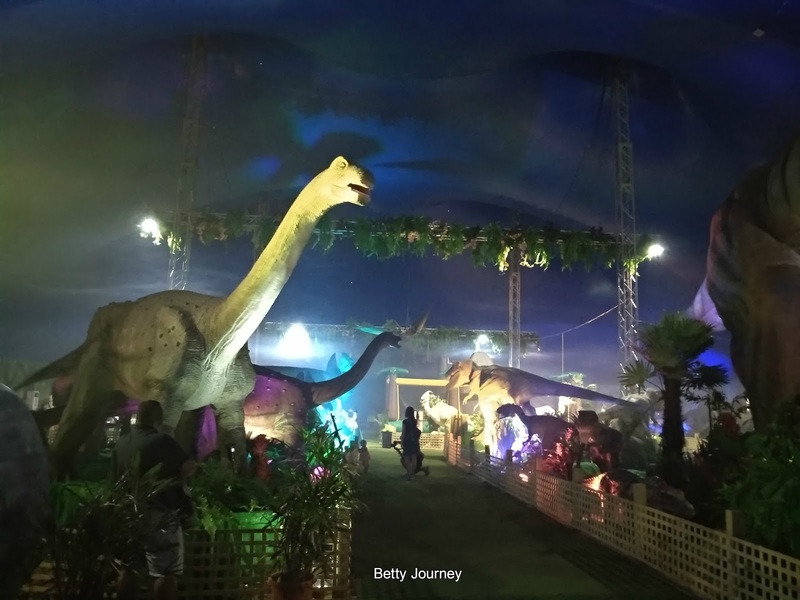 Check out the "Dinosaurs Alive in Kuala Lumpur" exhibition, a pop-up Jurassic-themed setup is open for public daily from 10am to 10pm at MaTiC Lanai, located at the Malaysia Tourism Centre (MaTiC) at 109, Jalan Ampang Kuala Lumpur. 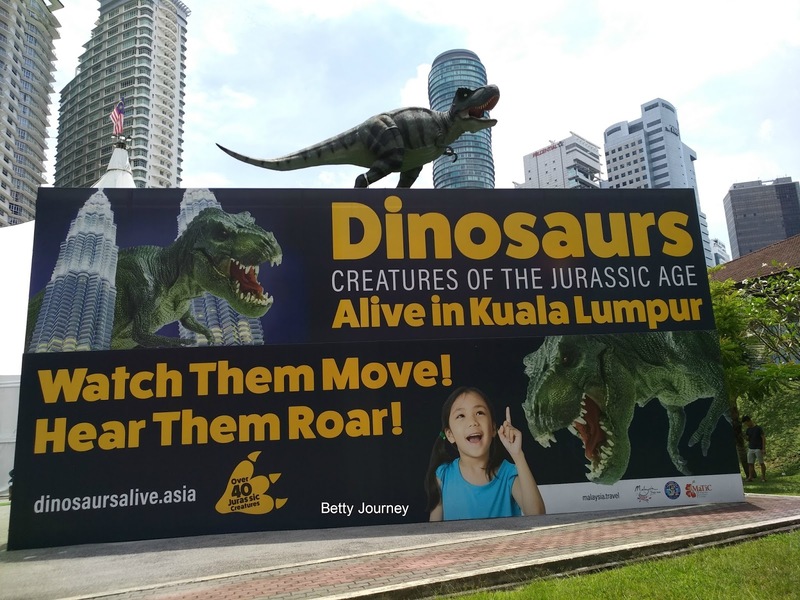 Public can enjoy and visit Dinosaurs Alive in Kuala Lumpur within 6 months. Is time for family bonding and enjoy the historical of Dinosaurs species. Most of the dinosaurs that showcase at the exhibition looks real to me. The exhibition is officiated by Deputy Federal Territories Minister Datuk Loga Bala Mohan, who represented Federal Territories Minister Datuk Seri Tengku Adnan Tengku Mansor on 14th August 2017. While the soft launch is officiated by Tourism Malaysia Director General Datuk Seri Mirza Mohammad Taiyab on July 14, 2017. More activities has been arranged that inject a good learning process to the children while enjoying their time at Dinosaurs Alive in Kuala Lumpur. More than 40 life- sized, life -like animatronic dinosaurs been featured. Drop by the Dinosaur egg and fossil dig zone, a dinosaur sand-crafting area, dinosaur bone assembly activities, history area and jumping castles for further exploration. Parents can spend more time with their children at the game areas. Tired and feel hungry? Stop by the food and beverages zone to recharge your energy. Special dinosaur toys and merchandise are on sell at the exhibition. 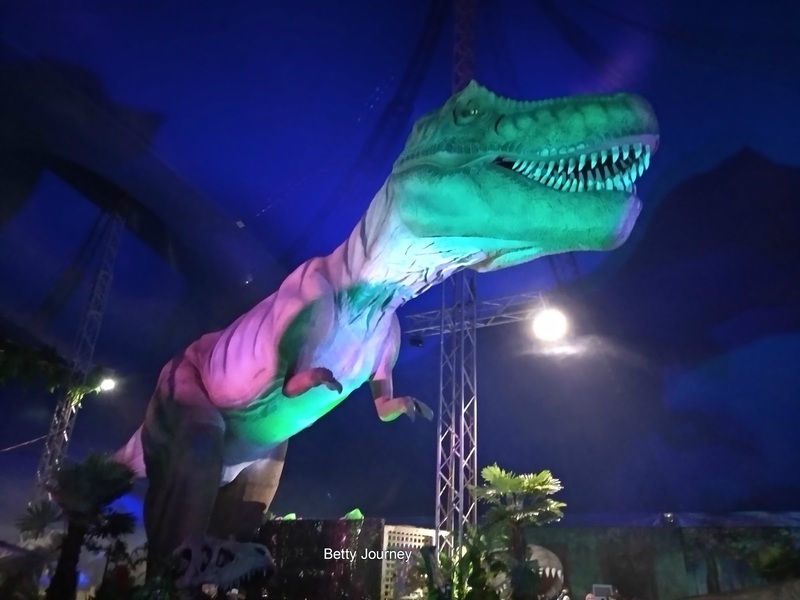 According to Adam Yong Abdullah, Director of Creative Alliance and Organizer of Dinosaurs Alive, "Since its opening, we've have received more than 50,000 visitors, including some well known names in entertainment". The exhibitions has since attracted Malaysian celebrities and their families such as Scha Alyahya and her celebrity daughter, Lara Alana, Rebecca Nur Al-Islam, Hamez Suraya, Dato' Fazley Yaakob, Liana Rosli, Aznah Hamid, Tengku Sheera and popular names in comedy Sharifah Shahirah and Nabil Ahmad. Visitors can take this opportunity to selfie with the biggest highlight of the exhibit, T-Rex or Tyrannosaurus rex, the largest among the 40 dinosaurs. Can anyone guess the height of Tyrannosaurus Rex? Answer is 9m- tall and 25m-long according to Keith Brown, Showtime Attraction Founder. Dinosaurs Alive is an initiative by MaTiC in collaboration with Creative Alliance and Dinosaurs Touring, a Melbourne- based company. Tickets are priced at RM50 for adults and RM30 for children aged 3 to 12, while discounts are available for groups of 10 and more as well as for school group of 20 or more students. Package and bookings are also available for private and corporate events, social groups, VIPs and special functions with prior arrangement. More detail can be found at www.dinosaursalive.asia .